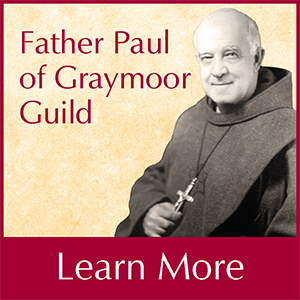 Servant of God Father Paul of Graymoor believed it was a special calling that he and his Friars should work toward unity of the Church and all people. Through prayer and dialogue, the Friars of the Atonement contribute to the unity of God’s people, encouraging discourse among all faiths to lead to better understanding and peace. For Friars and Sisters of the Atonement, each year the Week of Prayer for Christian Unity rekindles their vocation to live, pray and minister “that all may be one…”. First celebrated at Graymoor in 1908, what began as the Church Unity Octave is now an annual worldwide observance among Christians, usually held in January. Father Paul of Graymoor felt the greatest undertaking of the Friars and Sisters of the Atonement was to inaugurate the Church Unity Octave. While still within the Episcopal Church, Father Paul Wattson and Mother Lurana White set aside the period of eight days (January 18th through 25th, the Feast of the Conversion of St. Paul) for the purpose of praying for the unity which was prayed for by Christ Himself. Since 1966, the Faith and Order Commission of the World Council of Churches and the Vatican Secretariat (now Council) for Promoting Christian Unity began collaborating on a common international text for worldwide usage. Since 1968, these international texts, which are based on themes proposed by ecumenical groups around the world, have been developed, adapted and published for use in the United States by the Graymoor Ecumenical and Interreligious Institute. The Graymoor Ecumenical & Interreligious Institute (GEII), a ministry of the Franciscan Friars of the Atonement, is an information and service organization serving primarily, but not exclusively, the Roman Catholic Church in the United States in its mission of Christian Unity and interreligious dialogue. The GEII fulfills its mission through participation in interreligious dialogue, study, and research; providing resources, lectures, and information to those interested in ecumenism; and co-Sponsorship of the biennial Northeast Ecumenical Institute at Graymoor. GEII’s journal, Ecumenical Trends, published 11 times a year, has won awards from the Catholic Press Association. 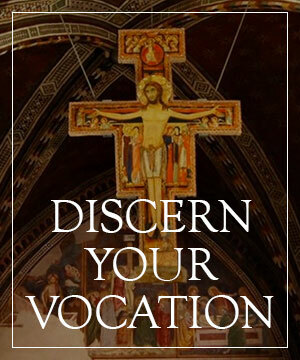 The Centro Pro Unione, founded and directed by the Franciscan Friars of the Atonement, is an ecumenical research and action center located in Rome, Italy. Its purpose is to give space for dialogue, to be a place for study, research, and formation in ecumenism: theological, pastoral, social, and spiritual. The Centro accomplishes its goals by publishing the semiannual Centro Pro Unione Bulletin; providing a summer course in Ecumenism; hosting conferences and lectures; engaging in cooperation and collaboration with other ecumenical organizations and agencies; and sponsoring the Annual Week of Prayer for Christian Unity. The Paul Wattson Lectures honor the memory of Servant of God Father Paul of Graymoor (1863–1940), founder of the Franciscan Friars of the Atonement and pioneer for the cause of Christian Unity. The lectures annually feature national and international leaders in the fields of ecumenism and interreligious dialogue to speak on current topics of interest.